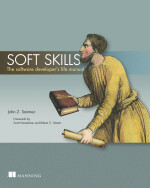 As I mentioned in my last post, I will be handing out a few copies of the book Soft Skills: The Software Developer's Life Manual by John Sonmez tomorrow night at the Boston .NET Architecture Group I lead. The reason I am doing this is because I believe this will be one of the "must read" books in 2015 for software developers, software architects, and software consultants. I pre-ordered my copy in mid-December, 2014 in order to receive it by Christmas break. I started reading it off and on as soon as I received it and I finally finished it this past weekend. Wow - what a great book! The stories and information reminded me a lot of what I learned on my own over the past many years in software development - how to think about and plan your career, how to give back and not just take information, how to establish your brand, the need to specialize, learning ways to learn, how to be productive, how to manage your time, how to manage your finances, and a whole lot more. I found myself remembering the hard-earned lessons as well as learning a few new ones. If I were starting out again, I would want someone to put this book in my hands. If you have new developers on your team, do them a favor and buy a copy for your software shelf. If you have been in this business for awhile, I still highly recommend the book to you for some new information or for the reminders of what you learned so long ago but may have forgotten. For myself, the book reinforced the importance of giving back to the community from which you have learned so much. I remember starting my blog a little over 10 years ago. At the time, I determined to speak and write on secure development, database, and architecture topics. I followed the path (interestingly enough, the path also mentioned in the book) of speaking first at the company I was working for at the time, then speaking at local User Groups and Code Camps, and finally at national and international conferences. It gave me an opportunity to learn much but also a way to contribute back to others what I was learning. Along the way I took a break but in the last year I have decided to start speaking at User Groups, Code Camps, and conferences again. 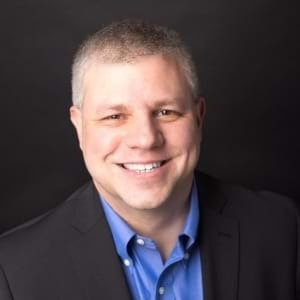 I attended the (ISC)2 Security Congress conference last year after obtaining my CSSLP certification (Certified Secure Software Lifecycle Professional). At the moment, I have several proposals out for conferences, and I plan to attend and participate in several security and developer conferences in 2015. I am also working on some online courses in secure development and architecture that will be announced soon. Thank you John Sonmez for an excellent book. What are you doing for your software development career?